Earlier in the week I posted a video of Paddy Ashdown and Maajid Nawaz talking about tackling extremism. I’ve received some very interesting feedback – thank you for your views! I agree with Paddy and Maajid – that tough conversations and community cohesion are the best ways to respond to extremism and to prevent radicalisation. This is just a starting point. There is still a long way to go, even in a place like Haringey, where we have such a proud tradition of standing up to both extremism and intolerance. If you part of a community or religious group, and would like to hear more about this work to promote unity, or even take part, please let me know! The news is currently dominated by reports of hateful actions, terrorism and conflict. Radicalisation and the rise of far right movements – these are happening in our society and it is terrifying. And the emerging ‘dialogue of division’ from some media outlets and parties like UKIP is not helping – it’s pushing communities apart and will make the situation worse. As Paddy says, the Lib Dems are uncompromising when it comes to standing up to UKIP and the dialogue of division. We are the polar opposite of them, and we will continue to search for solutions to extremism by having tough conversations. We’ll also tackle racism and hate crimes by promoting unity within our communities. On Wednesday, look out for a post from me. It will contain another video showing the work my team and I are doing locally to put these words into action. In the meantime, can you share this video on both Twitter and Facebook? 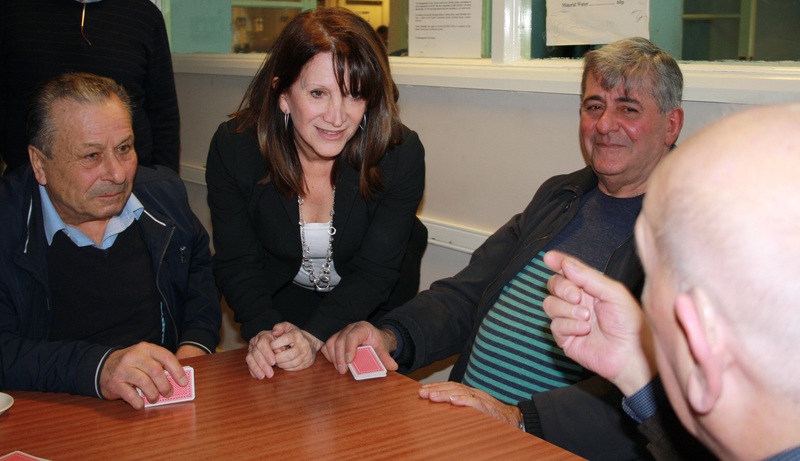 Lynne Featherstone last week visited the Cypriot Community Centre in Wood Green, to speak to users of the centre. The Centre provides a range of services including a lunch club, meals on wheels, classes, training and advice services. The Centre also runs the Cypriot elderly & disabled group, which provides day care. During the visit, the MP for Hornsey and Wood Green discussed the upcoming elections and her current local campaigns, including work she is doing to promote unity within Haringey. 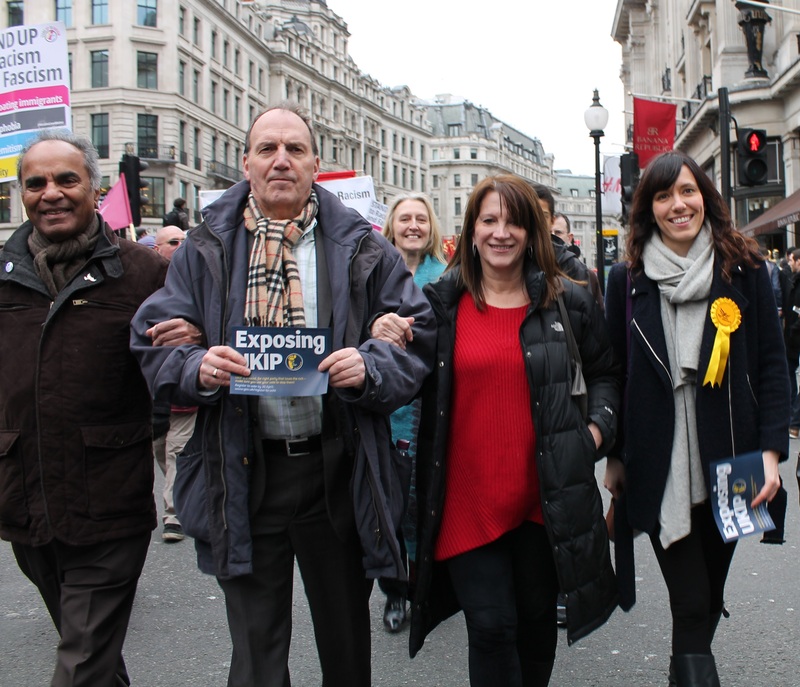 As part of this campaign, the Liberal Democrat MP is visiting local community centres, religious institutions, youth groups and more – to discuss finding solutions to extremism and to promote unity and community cohesion, in response to incidents like the Charlie Hebdo attacks. The local residents at the centre backed the local MP’s approach – agreeing that keeping in touch and having conversations is the best way to alleviate tensions and prevent division in society. “I have visited the Cypriot Community Centre on a number of occasions – and I’m always so impressed by the services provided for local residents. Lynne Featherstone MP last week visited the London Central Mosque on Wightman Road to discuss any concerns about divisions within local society. Members of the congregation told the local MP that they are aware of an increase in ‘anti-Muslim’ rallies – and that the Muslim community here feels more vulnerable after the actions of extremists in other countries. They expressed further concerns about how some political parties and some media outlets are portraying the issues, which is causing further division. However, the members of the congregation were encouraged by religious leaders, the Borough Commander and the Liberal Democrat MP all working together to find solutions and encourage unity. 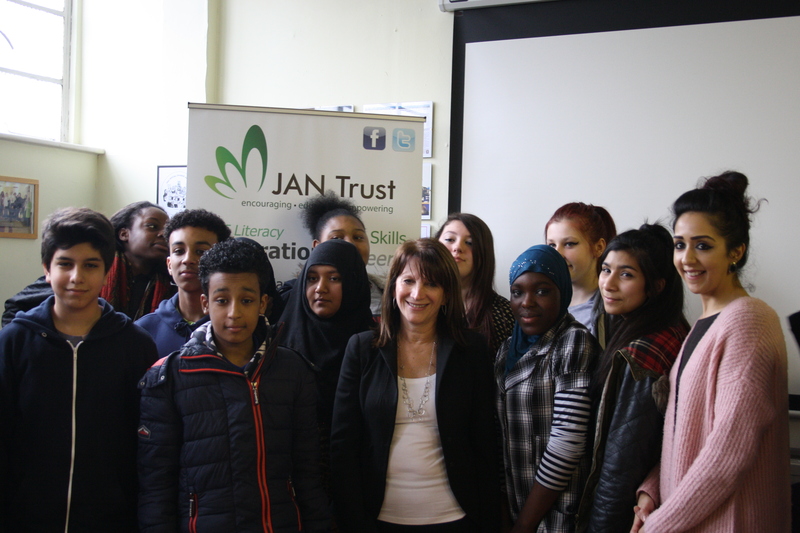 The visit is one of many being undertaken by Lynne Featherstone MP, as part of her ‘unity’ campaign. The campaign based around searching for solutions to extremism and promoting community cohesion in Haringey. “In a fair and equal society – no community would feel more vulnerable than another. So it is really upsetting to hear that the local Muslim community currently feels at risk, because of events in other countries. “That’s why I’ve started the unity campaign. I’m visiting communities and young people across Haringey to discuss ways to prevent both extremism and intolerance. “It is really encouraging to see the Mosque taking an active role in encouraging people to report hate crimes, and also to be vigilant in order to prevent extremism. These are real actions which could prevent further violence.